Leak detector setup video – How can we help? Roost leak detectors can be set up using two methods. 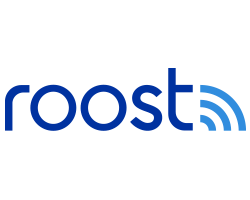 The Second Generation Roost leak detectors have the ability to broadcast a Wi-Fi network beginning with "Roost-device". You temporarily connect to this network to pass your Wi-Fi name and password to the Roost leak detector. Check the packaging or Quick Start Guide on your leak detector. The model RSW-200A is a Second Generation device. If you open your leak detector to reset it, you can find the MAC address above the battery compartment. If your MAC address begins with "4C", then you have a Second Generation leak detector. Please make sure the LED on your Roost Smart Water Leak and Freeze Detector is blinking green at the start of the setup process! If the LED is not blinking green, before you begin the setup process you will need to reset your leak detector. How do I contact Roost Customer Support?